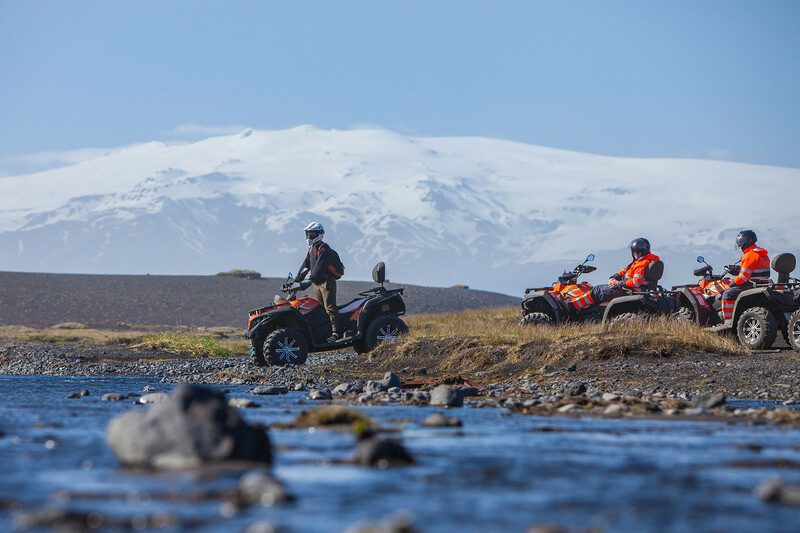 This tour kicks off after you meet your ATV guide at the Arcanum base camp near Mýrdalsjökull glacier. You will receive all the necessary gear and a short safety briefing before venturing out to ride on Iceland’s iconic black beaches. The guide will lead the group to the stunning coastline to witness breathtaking views of the surrounding area. You’ll marvel at the views of Dyrhólaey, a peninsula that is the southernmost tip of the country, and have see the marvellous Mýrdalsjökull glacier in the distance. After leaving the beach, the group will head to the famous Sólheimasandur plane wreck. This relic has been resting in the sand since 1973. Following the plane, you will drive to the Jökulsá river and up the foot of the mountain. This action packed tour ends when you arrive back to the Arcanum base camp.